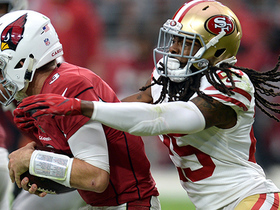 Sherman finished his first season in San Francisco with 37 tackles (30 solo), a sack and no interceptions. 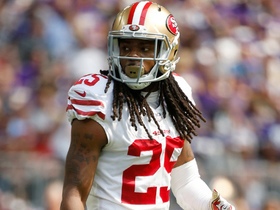 Sherman (calf) is active for Thursday's game against the Raiders. 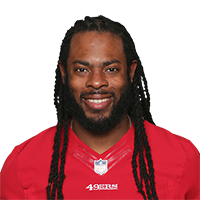 Analysis: Sherman continues to nurse a lingering calf injury but will nonetheless draw the start at left cornerback during Thursday Night Football. 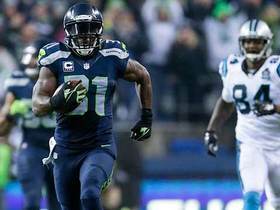 The veteran will work to limit an Oakland passing attack that's led by Jordy Nelson and Brandon LaFell. 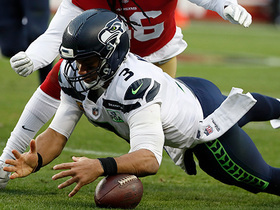 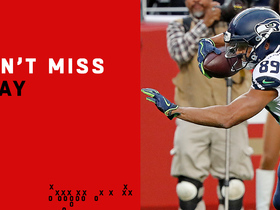 Seattle Seahawks quarterback Russell Wilson recovers his own fumble after tussling with San Francisco 49ers cornerback Richard Sherman. 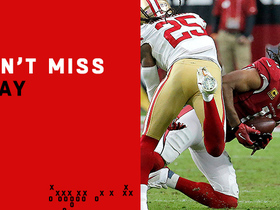 Arizona Cardinals quarterback Josh Rosen finds wide receiver Larry Fitzgerald deep for a 37-yard gain. 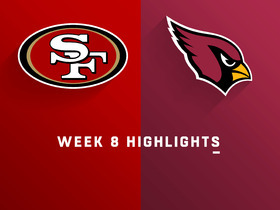 San Francisco 49ers cornerback Richard Sherman sacks Arizona Cardinals quarterback Josh Rosen for a loss of 7 yards. 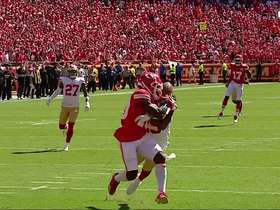 San Francisco 49ers cornerback Richard Sherman makes up ground and jumps in front of a pass in the end zone that was intended for Kansas City Chiefs wide receiver Tyreek Hill. 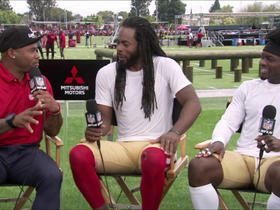 NFL Network's MJ Acosta brings us up to speed on whether San Francisco 49ers cornerback Richard Sherman thinks he will be booed or cheered in return from injury. 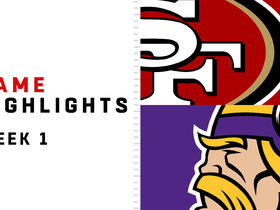 Watch the full-game highlights from the San Francisco 49ers-Minnesota Vikings matchup in Week 1 of the 2018 season.